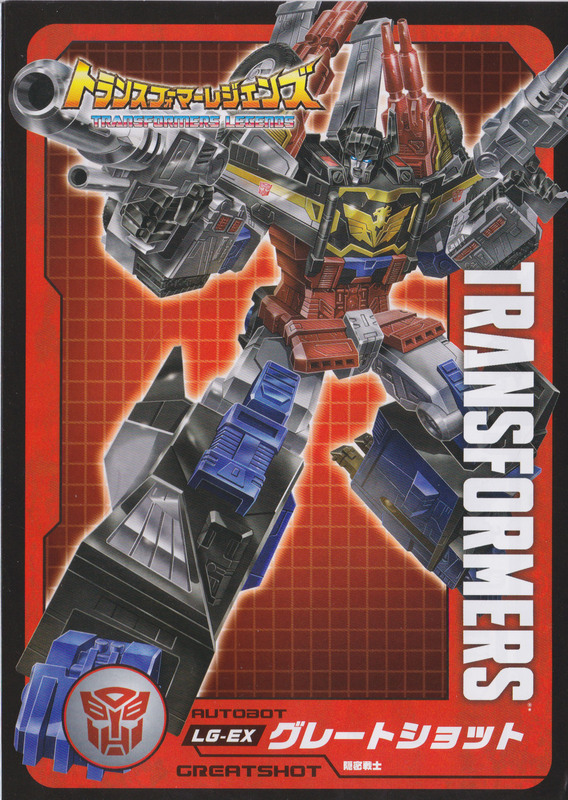 Via PC Kok on Facebook, we’ve got a look at the box artwork for the upcoming Transformers Legends LG-EX release, Blue Big Convoy. 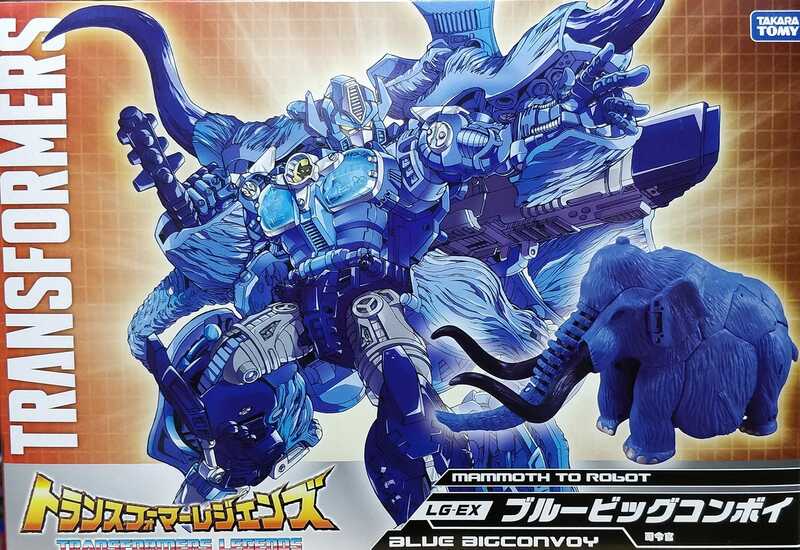 Blue Big Convoy, like the recent Encore Unicron, is a moderately altered mass retail release of a deco that was formerly available as a Lucky Draw prize campaign figure. 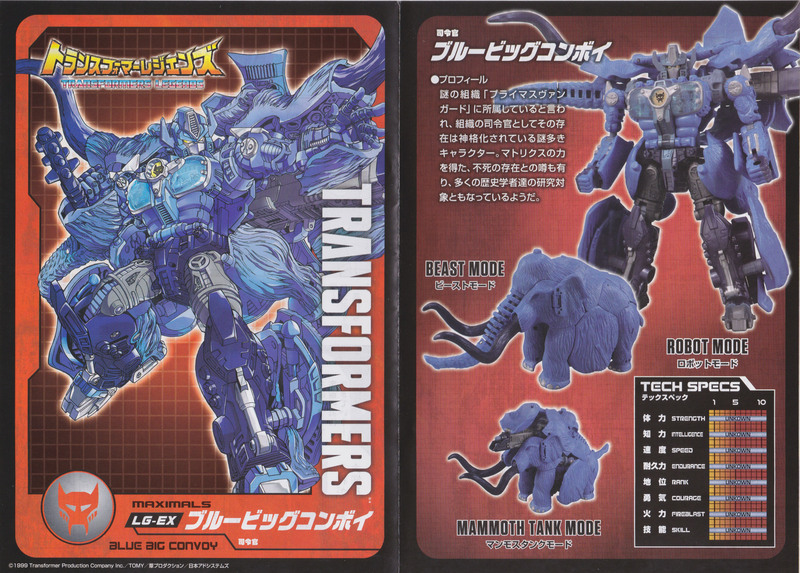 The box is dominated by a large robot mode illustration of Blue Big Convoy, and complemented by a photo of the blue one in his mammoth mode. It’s a nice looking piece of artwork – check it out attached to this post. Were those flames accessories of another toy or can you get deco stuff like this separately somewhere? 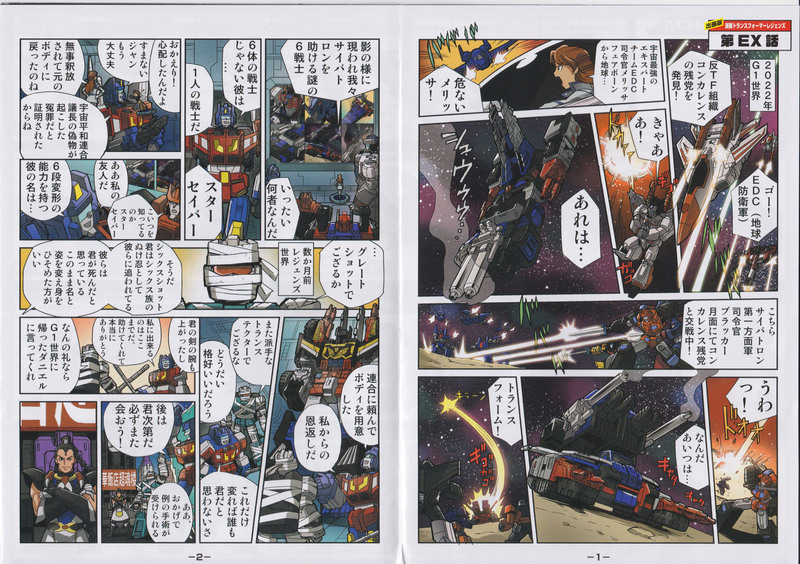 I just Impulse bought Big Convoy Encore and then read he's ultra class. Is he much taller than a regular voyager? Maybe some comparison pics? Thanks in advance. Tried searching but didn't find a clear answer. Is there a Nemesis version re-issue coming? 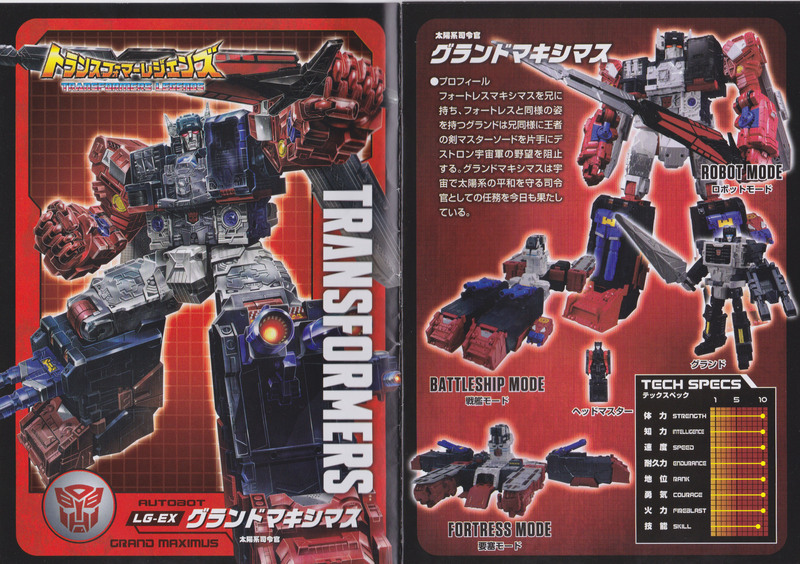 The Nemesis Prime version was a Hasbro Target exclusive. There’s been no mention of it ever being reissued. 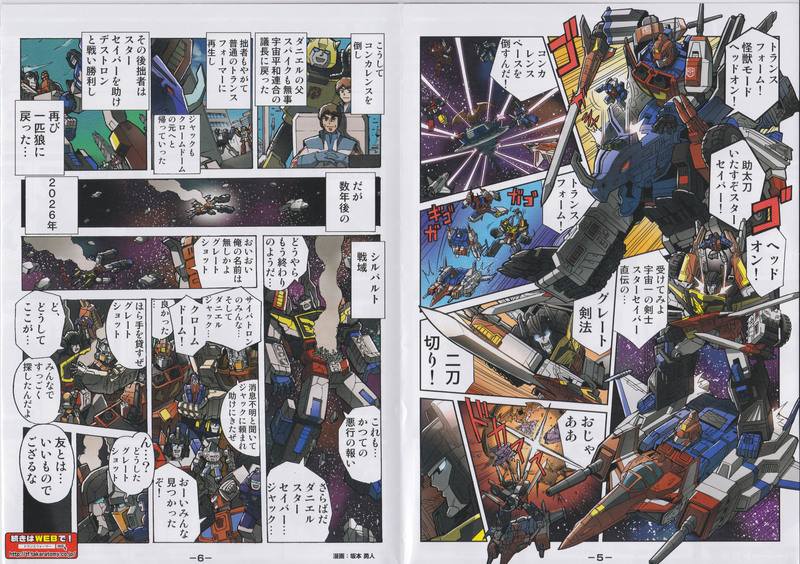 I opened my Blue Big Convoy up this weekend. 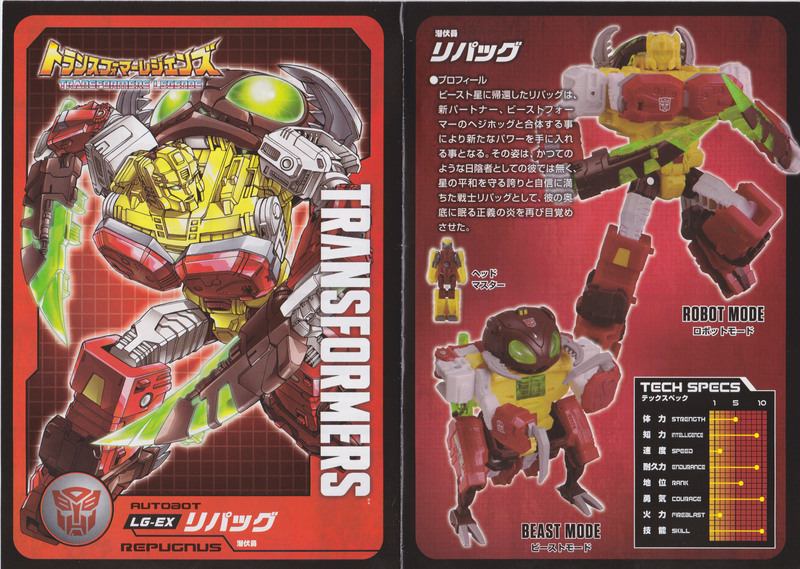 It'd been a while since I transformed any version of this mold, so I'd forgotten how weird it was, yet also oddly fun. Mammoth hind legs kept popping off, but otherwise it wasn't bad for a shellformer, and my fourth version of this mold. My only irritation is the top missile in the cannon won't properly lock in; the spring keeps wanting to shoot it out so I have to use the buttflap to keep it in the cannon. 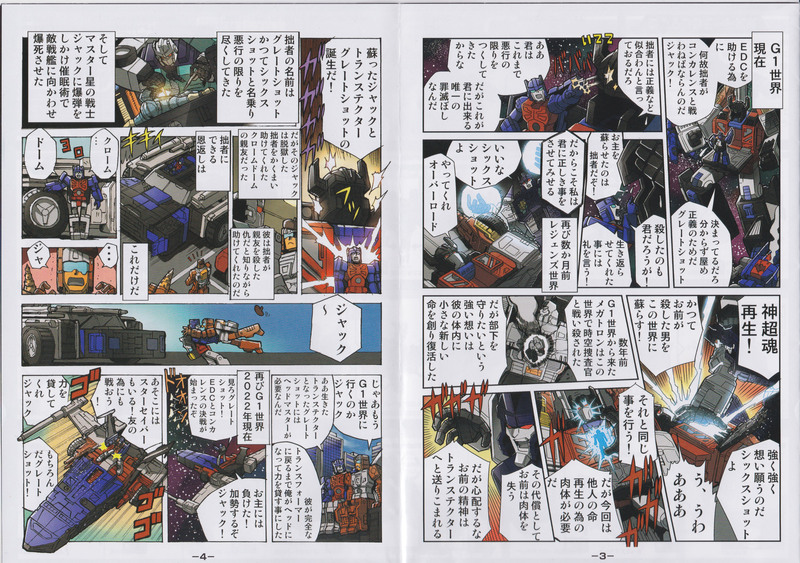 I messed up ordering from Takara tomy directly. It came to $110 shipped and I won't have it until next week. I didn't think retailers would get this so I played it safe. 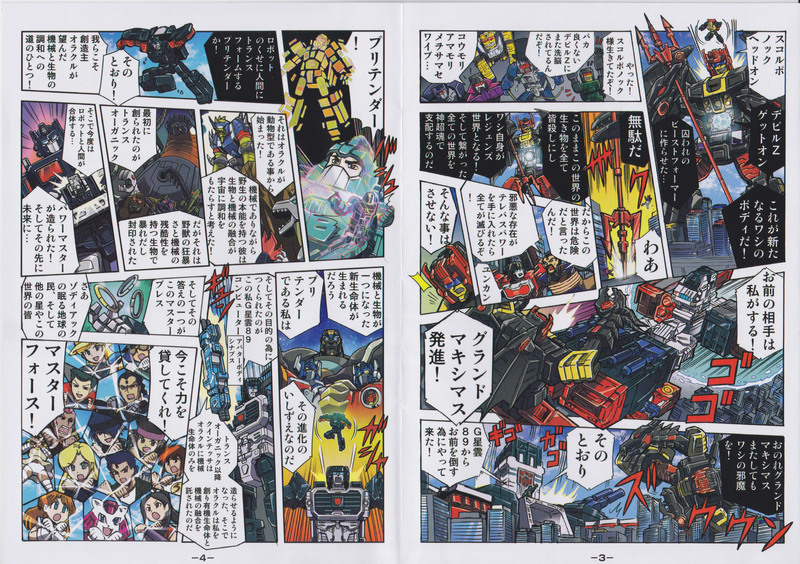 BlueBigConvoy and the other LG-EX exclusive comic scans (from Greatshot up to BBC). 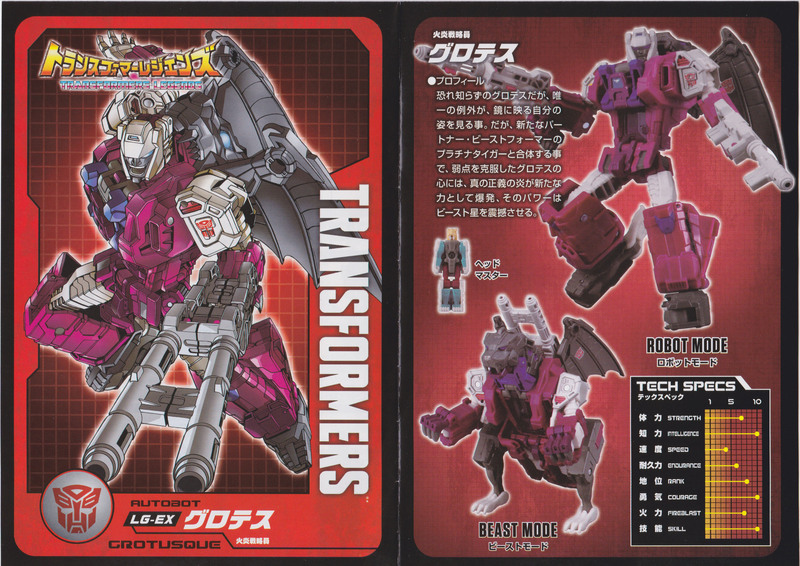 Gimmie a Double-Cross inspired Black Zarak toy please, oh and not to mention a repaint of Ginrai as Nucleon Quest please! 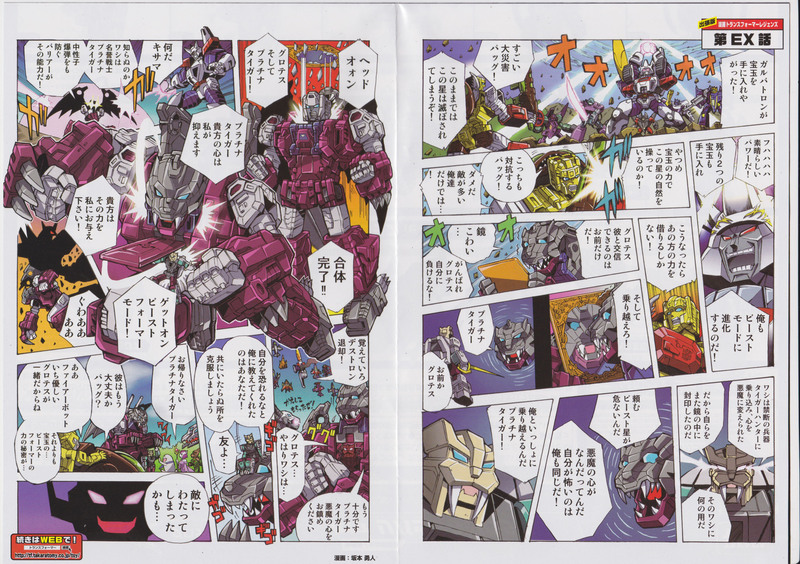 Also, it appears that the rank of Convoy was created in honor of Optimus Primal. I had always assumed it was in honor of Optimus Prime. I didn’t see a combo English/Japanese one with mine . Just that . 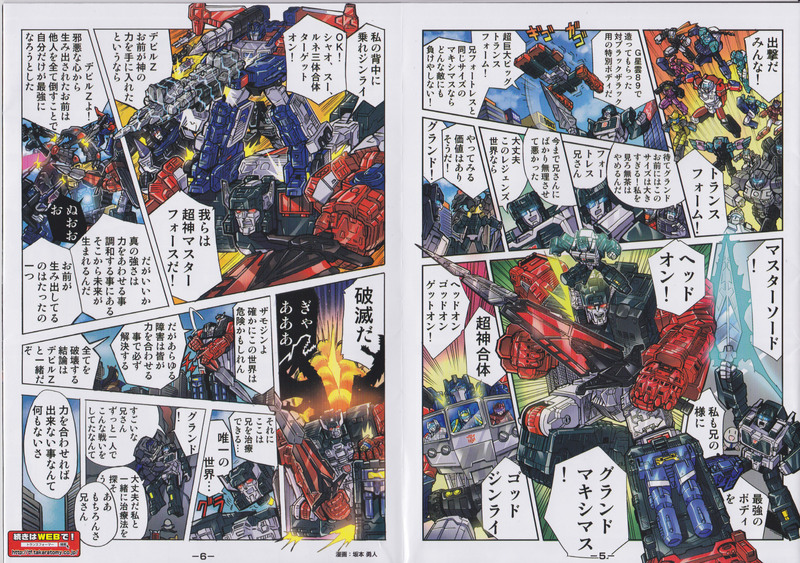 … tbf it’s not really a manga/ comic like with convobat and magnaconvoy … it’s just one a4 size sheet . 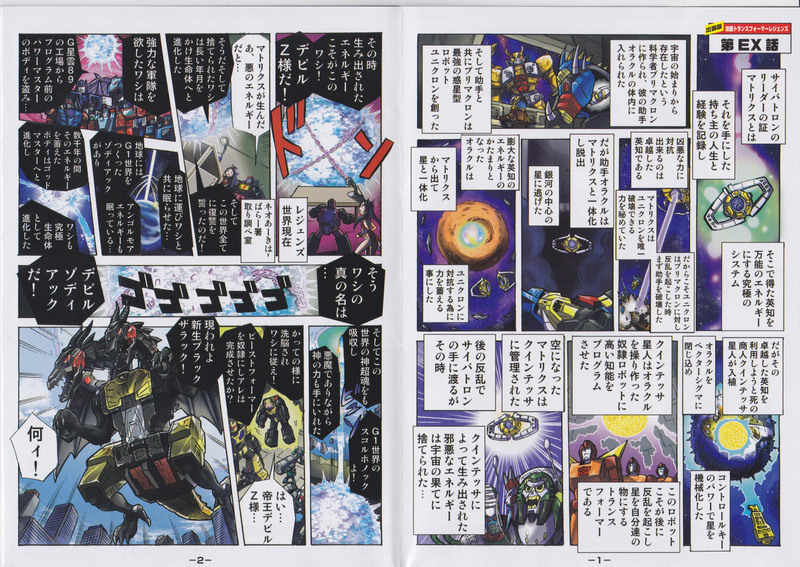 Yes, that’s the Legends Manga. It’s only two pages. Mine just dropped into my POL at BBTS. Debating whether to wait for some other items to come in or ship it out now. And why should they bother with that? 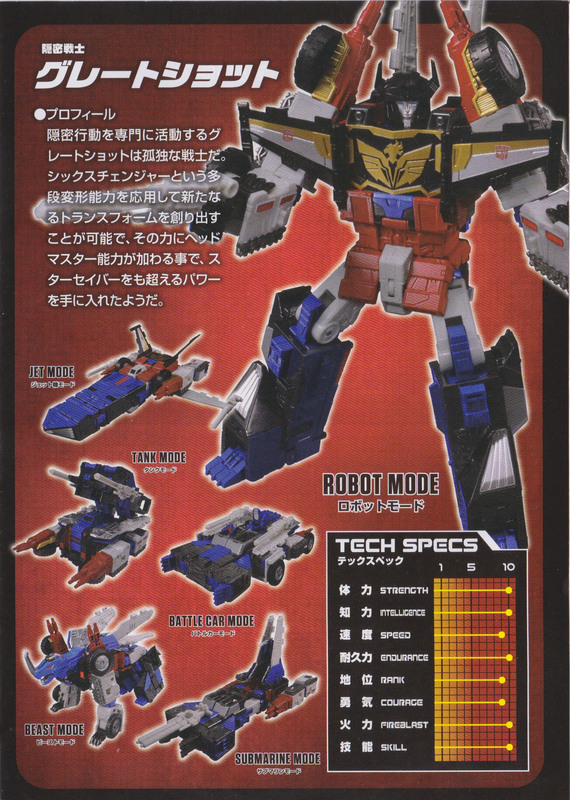 Probably didn't come with an additional comic because he's a TakaraTomy Mall exclusive instead of an eHOBBY exclusive like the other two.